The invitation came out of the blue, but it wasn't surprising, said Nir Menachemi, professor and chair of the Department of Health Policy and Management in the IU Richard M. Fairbanks School of Public Health at IUPUI. The vast majority of the research on health information exchanges -- which allow health providers to access and securely share a patient's medical information electronically -- has been conducted in the U.S., Menachemi said. While he has conducted a significant number of those studies, his colleague, Joshua Vest, who was also invited to speak at the conference, is one of the most prolific researchers in the U.S. on that subject, Menachemi said. Vest is an associate professor in the Fairbanks School of Public Health, director for the Center for Health Policy and an affiliated scientist at the Regenstrief Institute. 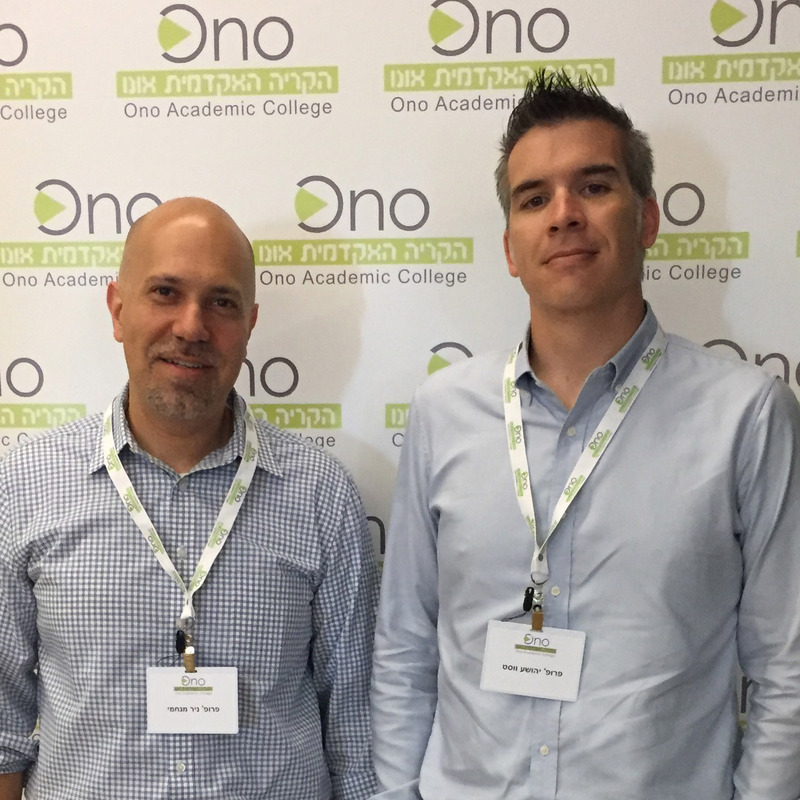 The two addressed representatives of the Israeli Ministry of Health, the Israel Medical Association, media professionals, technology professionals and researchers from academia at the conference, which took place Sept. 5 at Ono Academic College, located near Tel Aviv. Menachemi provided an overview of what science says about the impact of health information exchanges and compared the findings of Israeli studies of health information exchanges to studies done in other countries. Vest discussed lessons learned from health information exchanges in the U.S.
"Researchers in Israel have done quite a bit of work in this area, but their work has been about classic or historical applications of information sharing," Vest said. "Historicaly, the purpose was to put timely, relevant and previously inaccessible information in front of the eyes of a clinical decision-maker, generally a physician," he said. "There's a lot of stuff now that really shows how other types of users can have positive impacts as well when they have access to that information," he said, including care coordinators, business analysts, public health professionals and people in disaster-response situations. Menachemi and Vest said they were pleased to have an opportunity to play an informative role in a nation's health care debate. "That's why we are ultimately here," Menachemi said. "As a school of public health, as a department of health policy and management, the work we do tries to generate evidence and inform policymaking. We don't get to evidence-based decision-making if we don't base it on research and what's been learned. "This is right in the heart of what we do," he said. Vest agreed, saying, "It's an opportunity to share what we've found through different media in the sense that not everyone is going to read academic papers and not everyone is going to see certain blog posts. It's an opportunity to go out and reach people in different venues and settings and make sure that what you've found gets communicated effectively."